We’ve known for a couple of months now that the stealth GOAT of the last decade, Jake Gyllenhaal, would be playing fish bowl-headed trickster Mysterio in Jon Watts’ Spider-Man: Far From Home but we’ve never gotten an official confirmation of that fact. The production, we guess, was just glad to play coy in the wake of the web-slinger’s death at the hands of Thanos in Avengers: Infinity War last May, and a big casting announcement like that at the last moment might have stolen the thunder away from a whole host of “I don’t feel so good” memes. Well, that all changed on Thursday, when the actor, having just joined Instagram, posted both a confirmation of his role in the film and also what may be the single greatest video that anybody has uploaded to the social media network. Anyways, we’re hearing rumblings through the grapevine that Far From Home will get its first trailer on December 8, a day after the Avengers 4 trailer will have already obliterated our minds and households (we know we joined in on the rest of the internet chorus that the A4 preview would hit the internet today, but George H.W. Bush’s death and funeral changed those plans). So, Marvel fans, you’re gonna be hella spoiled this week, all things considered. 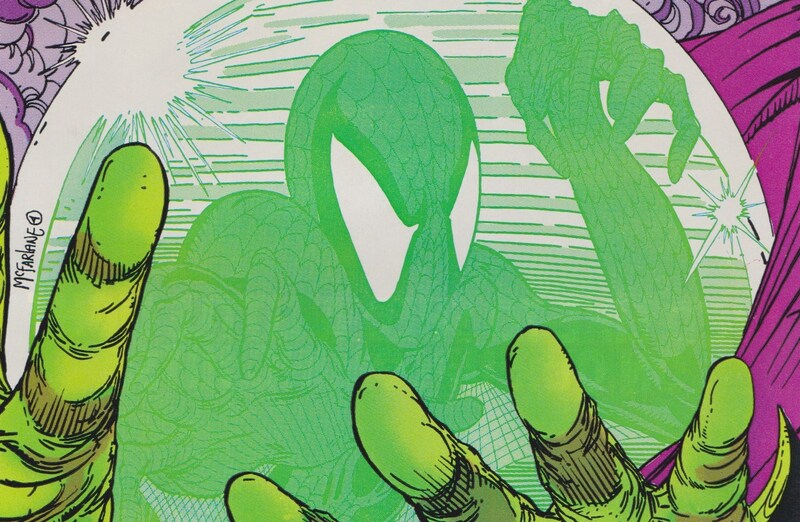 Featured image of ‘Amazing Spider-Man’ #311’s cover art by Todd McFarlane via Marvel.